We focus on New Zealand’s most vulnerable people by providing them with practical support and advice. We support a range of people including the elderly, those with injuries or disabilities, families, parents, children and young people and communities. Our services support you to stay in your own home, achieve your own goals and stay connected with your community. Need support to stay in your own home or staying in touch with your community? Need some support for day-to-day living? Enliven can find the right solution for you or your disabled child. Need a plan for rehabilitation and recovery after an injury? Find our how Enliven can help you get on with life. Our social services help make Aotearoa a great place to raise children. We provide a range of services in communities throughout the upper North Island. Family life getting you down? Find out how Family Works can help you build a strong family. Need some tips on becoming a better parent? Find out about Family Works’ parenting programmes. Worried about your kids? We can help you support your children/teenagers. We aim to strengthen communities by working with others and offering practical support. Our services are all aimed at helping victims of domestic abuse – women, children and men – to get safe and stay safe. Worried about your safety at home? We will help you and your children get safe and stay safe from domestic abuse. Our group programme for men motivates and supports them to change their abusive and violent behaviour. Need to know how to respond to victims of domestic abuse? Find out more about Shine’s training programmes. We help employers develop a workplace response to those who are experiencing (or perpetrating) domestic abuse. Lifeline provides personal and telephone counselling to those in need. 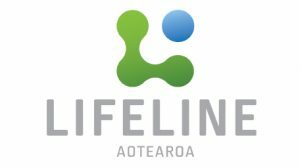 Over the past 53 years Lifeline has developed as one of New Zealand’s leading support organisations, working to help New Zealanders live healthier lives through emotional and mental wellbeing. Lifeline provides high quality, affordable face to face counselling from our Auckland centre, and also ACC trauma counselling in some centres. Kidsline is a counselling service for all kids up to 18 years of age. We have specially-trained teenage volunteer counsellors. We provide training that covers a range of topics including suicide awareness and prevention, working with hostility, de-escalation and more.